Time of reckoning: BJP senior leader L.K. Advani. Just a month ago, I wrote in this column that L.K. Advani alone has the stature, vision, wisdom and the political acumen to challenge the ruling United Progressive Alliance (UPA) coalition at the Centre. Advani’s announcement as the Bharatiya Janata Party’s prime ministerial candidate last week—with the full backing of the party and the Sangh parivar—underscores this stark reality. A leaderless and rudderless BJP suited the Congress very well. The Congress party’s early bravado over a possible mid-term election was largely due to the leadership confusion that prevailed in the BJP. Now, with a formidable leader such as Advani at the helm, the Congress will have to contend with a tough political rival. But this move by the BJP raises an interesting question. Will the Congress party announce its own prime ministerial candidate before the next Lok Sabha polls? While the party could project Manmohan Singh as its prime ministerial candidate, assuming he is up for it, that scenario is extremely unlikely as he is increasingly perceived to be weak and cannot be expected to win an election for the party. Does this mean that the Congress will anoint Rahul Gandhi, its inevitable next leader in this dynastic succession saga, as the party’s prime ministerial candidate? This is also unlikely as he sorely lacks experience—both?in?election?campaigns as well as governance. This leads me to believe the Congress won’t declare its prime ministerial candidate ahead of the Lok Sabha polls. How much of a handicap is the lack of a clear leader in an election is evident from the assembly elections in Gujarat, where a faceless Congress is pitted in a losing battle against a charismatic and strong leader in Narendra Modi. Whenever the BJP has announced its leaders in advance, the party has benefited immensely. Atal Behari Vajpayee’s projection as a prime ministerial candidate nearly two years before elections helped him emerge as a pan-Indian leader from that of a popular leader only in the Hindi heartland. A similar bounce is likely to happen to Advani’s ratings. The timing of the Advani announcement, just a day before Gujarat started its polls, has led to the speculation that the move was aimed at thwarting Modi’s migration to national politics. Advani has been a national level leader for well over three decades and was instrumental in building the party and its entire second generation leadership. If Modi has become the chief minister of the state and remains so despite overwhelming opposition from within the party, it is due to Advani’s firm backing. Modi remains a shrewd politician who plots his moves carefully and is unlikely to contemplate shifting to national politics until the party needs his services at that level. But Advani’s declaration as the prime ministerial candidate doesn’t mean that the BJP will somehow ride back to power at the Centre. The party faces many political and governance challenges in staging a comeback. It sorely lacks the cohesion and the raw enthusiasm it exhibited in the mid-1990s, when Advani led the party with a lot of gusto and everyone else fell in line. Today, the party appears to lack the orderliness, discipline and the enthusiasm that were seen as its unique strengths. On top of that, the BJP’s track record in governance has been quite mixed. The party can try and point to how it fared when in power at the Centre or what is happening in Gujarat. But, elsewhere, the BJP’s governance track record leaves much to be desired. Still, for Advani, this is the time of reckoning as he prepares for his biggest electoral battle. 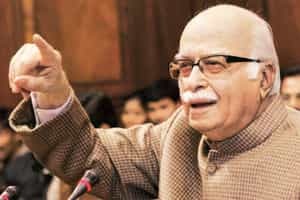 Advani will have to adopt an inclusive approach, taking all sections of the party as well as the parivar along as he tries to recreate the magic that helped the BJP come to power. If Advani’s announcement has to give the party a first-mover advantage, he has to recharge the party organization. That means he will have to put the BJP-ruled state governments on a leash and ensure they live up to people’s expectations. That is the only way he will have a realistic shot at becoming India’s next prime minister.